So you have a location, you are happy with whatever the place looks like, in theory at least, now you need to gather some women who would appreciate this space and time to be together. How do you find them? Who do you invite? Will they show up? First things first. I think that if you’re hosting a RTT, you must dedicate yourself to the energy, even if you are alone. This means that you are holding the space energetically, even if no one shows up…but women will show up! A few things to consider: how many women your can space handle; finding women who will find this nourishing; whether or not you need help setting up and/or facilitating; whether or not you need monthly donations in order to make your RTT sustainable; the rules of the space you’re using; how might the space, the timing, and your skill set best serve your community? If you are hoping to fill your RTT with women from various backgrounds, cultures, colors, and lifestyles, it’s a good idea to advertise widely. Social media is one way to find women but you might first consider mining your social groups. Are you part of a book club, PTA, church, coven, or other already formed community that has women who you know and trust? Inviting them to your first RTT is a great place to begin. From there new members will come in and out as the energies and tides shift. Originally our RTT was filled with moms from our local, secular homeschooling community. Several of these early members still come. Others came as long as it served them and left gracefully, others left in a storm of emotions. I will speak into that later–conflict resolution! For now, let’s just say that drama is possible and like always, we simply have to move through it and clearing or processing techniques can be critical to holding the group together, even when one or more members leave in a huff. I’ve only had this situation happen twice, and both times it was shocking and ugly. None of my attempts at conflict resolution were accepted. One time several of our daughters were involved in some bullying and it caused a falling out amongst the moms. Another time a woman was very demeaning to the other women and considered RTT a place to bring hard liquor and shot glasses. I wasn’t sad to see either of them go, but was ruffled by the strong waves that rippled through our group for months after. I think, in many ways, the more diversity you have in your group, the better the energy will be. When we have too much in common, things can stagnate and become stodgy. I’ve found that in my own group which has reached that point. Either we will shift the energy, or I will likely let go of this aspect of my life. Knowing when to stop, when to let go, is important! On FB or Instagram, you can reach out via groups and/or hashtags to women in your locale to invite them into this sacred space. Because I recently deactivated my FB account, I’m now using a Meetup group (Sacred Earth Walk) to invite women into our Temple. You could also create a newsletter in Mail Chimp or Constant Contact for inviting people who already follow into this newly formed, women-only space. Who not to invite: children; babies except nursing infants in arms; husbands and men in general; people you don’t trust or get along with. If you’re very far along on your healing path, you can ignore those last two but if you’re already feeling a little stressed, in addition to feeling excited, do yourself a favor and only invite in women who you feel very safe with. You’re off to a great start now! You have a space, women, and maybe a red scarf to wear when you gather…soon we will talk about what to do, rules, and other moving parts. 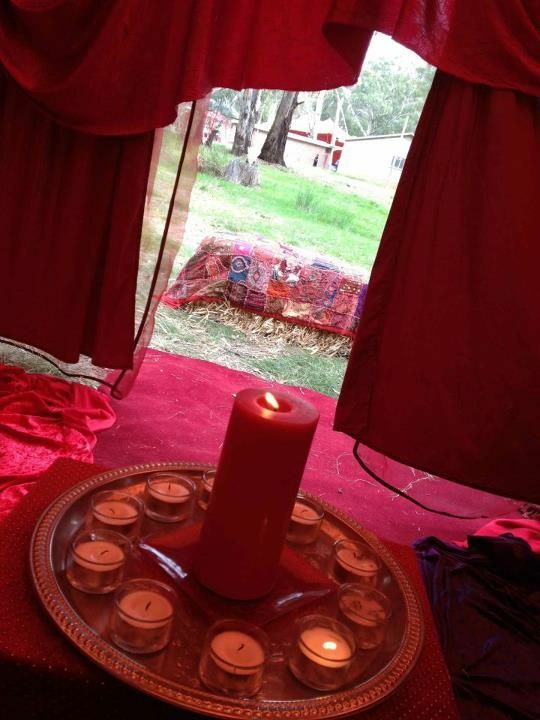 ← Red Tent/New Moon Sister Circle Tips. Two. Location.